Russell Austin has extensive experience in real estate and business law. He has planned, negotiated and documented a complete array of real property transactions and supporting documentation, including purchase and sale transactions, exchanges, syndications, partnership and LLC formations, and a wide variety of financing transactions for owners/developers, institutional and private lenders, conservation organizations and other non-profit organizations, and public agencies, including conservation transactions involving both fee acquisitions and conservation easements. Russell also has substantial experience in several aspects of real estate litigation, including complex foreclosure actions for lenders and borrowers. Russell is listed in the 1997 through 2018 editions of The Best Lawyers in America as one of the Sacramento area’s outstanding real estate attorneys and was named Best Lawyers’ 2010 Sacramento Real Estate Lawyer of the Year. He is listed in the 2005 through 2018 Northern California Super Lawyers and was recognized in the Top 100: 2016 through 2018 Northern California Super Lawyers and the Top 25: 2015 through 2018 Sacramento Super Lawyers lists. Russell has been named in the Sacramento Business Journal’s 2013 through 2018 Best of the Bar lists which recognize top local attorneys who have been nominated by their peers and vetted by a panel of their peers, and he was listed in Sacramento Magazine's Top Lawyers List 2015 through 2019. Since 1992, Russell has been rated “AV Preeminent” by Martindale-Hubbell. He leads the firm’s commercial real estate law team which was awarded “Tier One” rankings for practice excellence in the U.S. News – Best Lawyers “Best Law Firms” 2014 through 2019 reports. Russell has served as a Visiting Professor of Law at King Hall School of Law at the University of California, Davis, teaching Real Estate Finance, and as a Visiting Professor of Law at McGeorge School of Law in Sacramento, teaching a “practicum course” in Commercial Real Estate Transactions. He has also served as an Adjunct Professor in the graduate tax program at the McGeorge School of Law in Sacramento, and was an Instructor at Hastings College of the Law in San Francisco. Russell was a contributing editor for Real Estate Purchase and Sale Transactions and Organizing Corporations in California, published by the California Continuing Education of the Bar. He has been a frequent panel speaker and moderator at continuing education seminars on real estate law. Russell has been active in the Sacramento County Bar Association, has served as Chair of the Voluntary Legal Services Program and President of Legal Services of Northern California. In 1992, Russell received a President’s Pro Bono Service award from the California State Bar and, in 1993, he received a Pro Bono Publico award from the American Bar Association. In 1994, Russell was recognized by the Sacramento County Bar Association as its Humanitarian of the Year. Russell has also been active in a number of community organizations and currently serves on the Emeritus Board of Trustees of the Sacramento Valley Conservancy. He was recognized by the Sacramento Metro Chamber of Commerce as its “Volunteer of the Year” for 2001. 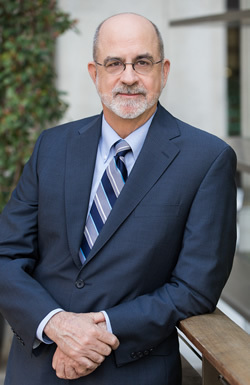 Upon graduation from law school in 1980, Russell joined the San Francisco firm of Marron Reid, LLP and in 1982, helped open its Sacramento office. In 1999, Russell was one of the founding partners of Murphy Austin Adams Schoenfeld LLP, serving as its first Managing Partner from 1999 to 2001 and again from 2005 to 2007. Russell received his B.A., with highest honors, from the University of California Santa Barbara, his J.D. from University of California, Berkeley Boalt Hall School of Law, and is a member of Phi Beta Kappa and the Order of the Coif. Sacramento Valley Conservancy, Board of Directors (2002-2010), President (2004-2006), Vice President (2003-2004), Chair of Acquisitions Committee (2004-2010), focused on conservation transactions, preserving 4,000 acres of natural habitat located in the Cosumnes River/Deer Creek Watershed region, and the Elkhorn Basin Ranch in Yolo County.